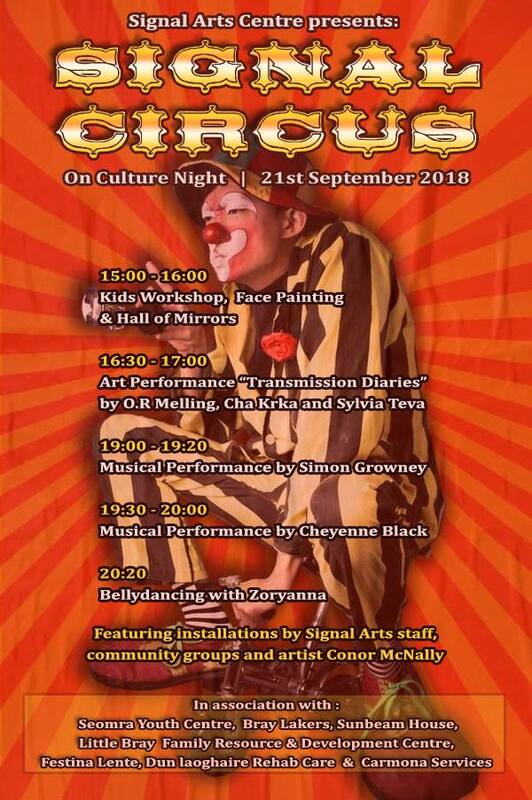 Signal Circus is arriving on the 21st of September on Culture Night. We will be hosting activities all day from 3pm to 8pm at the centre. Featuring Installations by Signal Arts Staff, Community groups and Artist Conor McNally. In Association with Seomra Youth Centre, Bray Lakers, Sunbeam House, Little Bray Family Resource & Development Centre, Festina Lente, Dun Laoghaire Rehab Care & Carmona Services. We'd love if you could attend as there will be events for all ages.